Highlights of Huddersfield's 2-0 win against Bolton in the SkyBet Championship. Joe Lolley's third goal in seven games and a late strike from substitute Mustapha Carayol secured Huddersfield's 2-0 Sky Bet Championship win over Bolton at the Macron Stadium. Lolley fired home just after the hour and on-loan Middlesbrough striker Carayol doubled the advantage three minutes from time as David Wagner's improving side overcame a slow start to make it three games unbeaten. Wanderers enjoyed their best spell in the first 25 minutes when winger Liam Feeney hit the post, but the Terriers improved, notably after half-time, and the second half goals completed a seven points holiday haul. 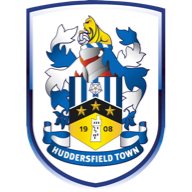 Huddersfield made five changes to their starting line up from a 1-1 draw at QPR on Monday, including the return of goalkeeper Jed Steer after he re-joined the Terriers on loan from Aston Villa until the end of the season. 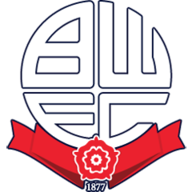 Bolton chief Neil Lennon named the same starting line-up and substitutes that secured a 1-0 victory over Blackburn on Monday - Wanderers' first three points since September 12. Gary Madine, goal-scoring hero of the derby win, headed Dean Moxey's cross wide from the game's first chance after seven minutes while Joel Lynch blocked a goalbound Liam Feeney effort moments later. Wanderers' luck was out again after 11 minutes as Feeney's low right-foot drive from 20 yards hit the post and re-bounded back into play. Huddersfield, in contrast, were devoid of attacking ideas until Nahki Wells was put through by Lolley after 25 minutes. Prince's tackle was borderline legal but referee Andy Haines gave the Wanderers defender the benefit of the doubt despite howls of protests for a penalty from Town fans. Sean Scannell fired over in another raid that briefly left Town down to 10-men due to a facial injury for skipper Mark Hudson. Trotters' counterpart, Darren Pratley, was booked after a good advantage by referee Haines ended with Harry Bunn's tame shot, with Town finishing the first half well on top even though keeper Ben Amos remained untroubled. Jamie Paterson replaced Scannell at the interval and the visitors almost immediately profited as Wells' shot was cleared off the line by Prince. The same player was denied again after 55 minutes - this time by Amos's desperate lunge - after being put through by Paterson. Town deservedly went in front after 61 minutes when Lolley's first attempt was blocked by Prince, but the midfielder made no mistake with the follow-up as the ball bounced back into his path off the French defender. Zach Clough almost fashioned a spectacular equaliser before Wanderers made their first change - defender Rob Holding replaced by on-loan Arsenal striker Wellington Silva. Huddersfield, however, were still the more threatening and right-back Tommy Smith's angled right-foot drive only just missed the target. Carayol's goal finished off Wanderers as Huddersfield fans broke into song 'David Wagner is better than Klopp' referencing their manager's friendship with Liverpool coach Jurgen Klopp. "I think the fans are in euphoria because seven points in this busy period was good. If you are euphoric then sometimes you say something you normally don't say. All in all we did a very good job in this period." "When you are on top and in the position we find ourselves in we have to score. For first 25 minutes we were dominant but you know when you don't score there is fragility there. Huddersfield got the break with the goal and we seem to sag psychologically. "